Free Snow Cones and T shirts to Tie Dye! 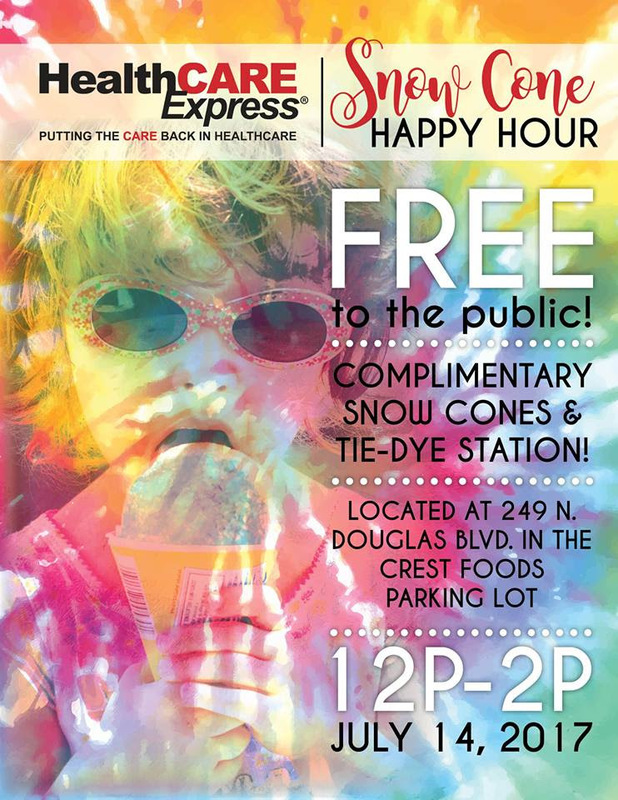 Join HealthCARE Express in the Crest Foods parking lot to get your snow cones and shirts! Shirts are limited, so it’s a first come, first serve deal. Hope to see you there! !